If Cuban families improve their incomes and living conditions, fewer will want to search for luck in America. 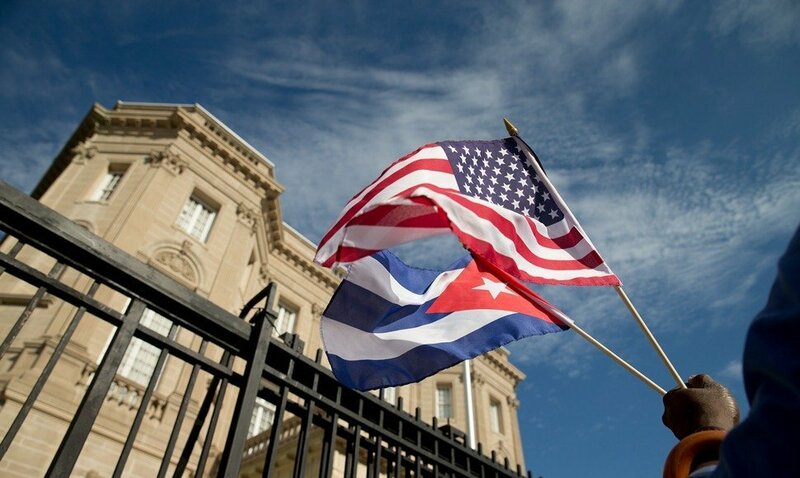 One year after the historic reconciliation between the United States and Cuba, the most important thing — beyond the opening of embassies and a couple of meetings between the Presidents Barack Obama and Raul Castro — has been the daily actions that keep clearing the field for business, which places Cuba in a position for better economic prospects. The latest relevant thing, in the form of an agreement, is the renewal of direct mailing of correspondence and parcels between the two nations. This postal service, interrupted since 1963, will provide more encouragement to business relations by increasing flights and lowering transportation costs for some merchandise or spare machinery parts, for example. An obstacle on the path is the American trade embargo on the island. It could not be lifted, and it most likely will continue intact during 2016 while Obama is in office, because lifting it depends on a political decision by Republican legislators, although American chambers of commerce are pushing strongly for it to be eliminated soon. The handshake between the presidents of the United States and Cuba on Dec. 17, 2014 after half a century of enmity was a surprising political decision for the world. However, soon economic issues took priority over political agreements and discussion because a financial respite was urgent for the island, and the opportunity to sell and invest in that new market in the Caribbean, where there are a lot of untouched opportunities after 50 years of isolation, was urgent for American businessmen. Every week, American Airlines completes 22 charter flights to Cuba, and the expectation for 2016 will be to increase and diversify airline connections, especially when the postal service fully comes into play, because Cuba receives more and more tourists and businessmen exploring business opportunities. A good sign that important changes are in the making in Cuba was provided in the last few days by Moody’s Investors Service, a known rating agency, which showed that the island is successfully diversifying its economy, a result of its one-year relation with the United States. Even though Moody’s rating for Cuba is weak (CAA2) due to the solvency of the country, Moody’s sees a stable outlook for the island that tends to be positive and could improve in the midterm. This will also depend on the Cuban government getting rid of barriers to investment and financing, something that will allow Cuba to access financial markets later. The ideal situation would be for markets between Cuba and the United States to open up, and for bureaucratic barriers to be destroyed — but the island’s government has made it clear that it will not take the first step in that direction while the American trade embargo exists. It is in the United States’ interest for Cuba to improve its economy soon — not just for business, but also to decrease the northward migration of Cubans. If Cuban families improve their incomes and living conditions, fewer will want to search for luck in America.